Concept Infographics Equipment Warehouse. 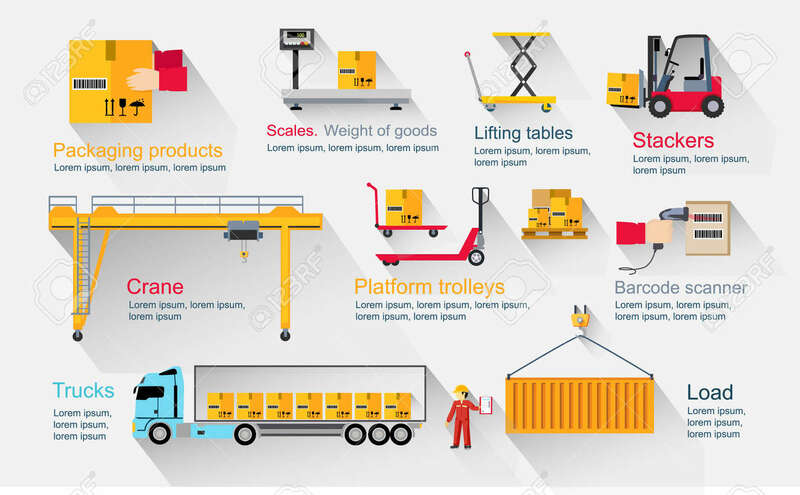 Delivery And Cargo Transportation, Shipping Service, Industry Freight And Package, Logistic Industrial, Export And Distribution Production Illustration Royalty Free Kliparty, Vektory A Ilustrace. Image 53212972.